Sometimes you wanted to get rid of your crappy ISP DNS servers for good. I'm using wvdial to dial up, here's what I do. Disable Auto DNS in wvdial. Edit "/etc/wvdial.conf" file. Set Auto DNS Off. Those are Google Public DNS service, a very good ones, and best of all, its free! More of free public resolving nameservers here. 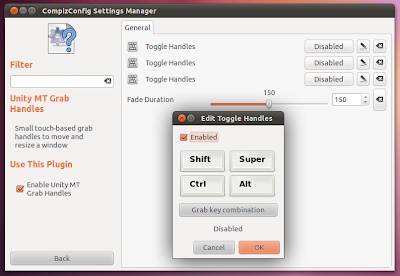 If you are among the not-so-lucky, open Unity dash (Ubuntu 11.10 Keyboard Shortcut:Super key) and search for 'Additional Drivers' application. Check for additional drivers available and activate the ones you want. In 90% of the cases, this will do the trick. Those who were not able to get their hardware driversenabled yet will have to do fair amount of digging through ubuntuforums. You will see that the Toggle Handles option is Disabled by default. Click on the Disabledbutton and tick the resulting Enabled box. Done. So if you like GNOME Shell and intends to use it more often, here are somestunning GNOME Shell themes you should not miss. Ubuntu 11.10 is released. 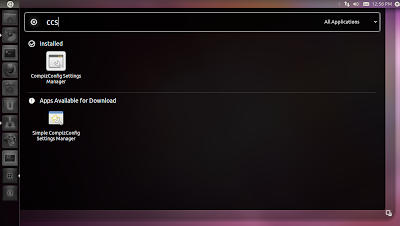 You can download ubuntu 11.10 from the official website. 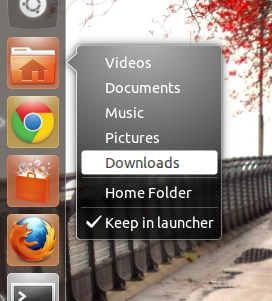 The latest release of ubuntu comes with lot of great features and fresh user interface changes. It is evolved as much stable operating system for modern desktop and tablet environments. Ubuntu 11.10 comes with a good set of applications for every purpose. The selection of applications are made in Ubuntu conference. Banshee Music Player, Libre office, Ubuntu one cloud storage, Firefox 7, Thunder bird, Shotwell Photo editor etc are included default. 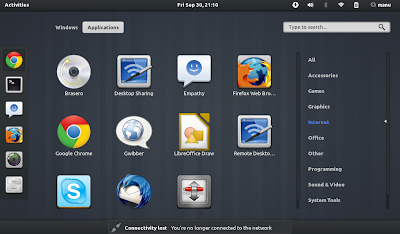 The latest ubuntu 11.10 comes with Gnome 3.2 latest linux kernel 3.1. 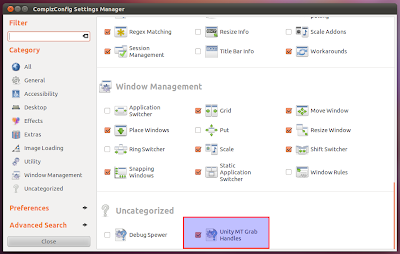 But insted of gnome shell ubuntu 11.10 uses unity desktop environment. This time unity is much stable and polished and tested than ubuntu 11.10. Also the ubuntu paper cut project will clear all the rough edges of ubuntu. 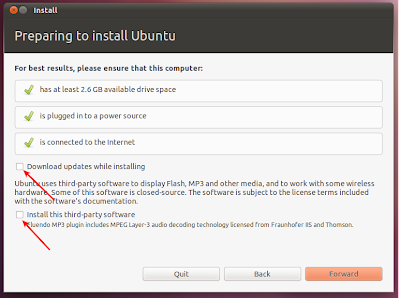 And the release of ubuntu 12.04 is aiming for LTS. The login manager also changed to Light DM. This is highly themeble. Here is a quick Ubuntu 11.10 Post Installation guide for reference. To make ubuntu 11.10 a perfect desktop for a modern user it is necessary to install some additional applicaitons and codecs for Listening music, watching movies, playing videos over the web, Viewing various languages etc. 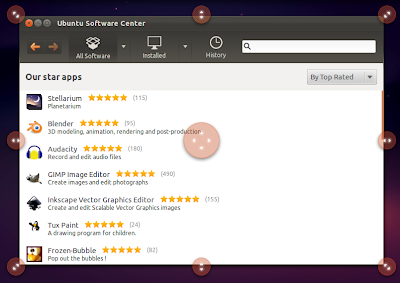 New redesigned ubuntu software centre is included with 11.10 and it is intelligent to suggest an application for every purpose. Here you can see a hand full of applications as a quick reference list for a perfect desktop. All the applications are installable via ubuntu software centre. Just search the application name and press install. But command line installation is much faster and easy to follow. Just open the terminal and copy paste the code press enter. Things to do After Installing Ubuntu 11.10 Oneiric Ocelot. First of all you need to update the repositories and restricted multimedia repositories. This will do the magic. You have the latest operating system with all updates. Alternate way – start update manager (it’s installed by default, just search for it) and click on install updates. 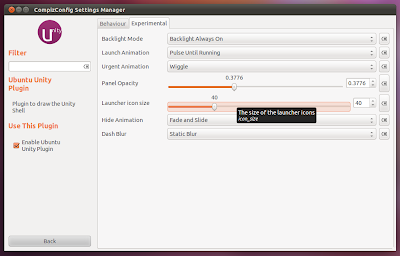 Ubuntu tweak is a great package to change the settings in ubuntu without any hazile. It provide many useful desktop and system options to tweak ubuntu 11.10 to your needs. 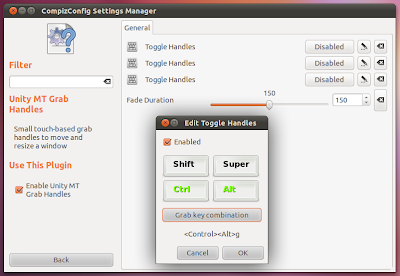 Gnome Tweak Tool is a utility for Gnome 3 desktop for tweaking the desktop settings. Gnome Tweak Tool allows us to customize windows look, theme, Fonts etc. Banshee is the default music player in Ubuntu 11.10 and totem is the default video player. But you can take look to other great applications that do the things very easly and effectively. 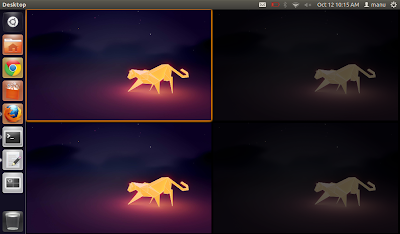 VLC media player is a great all in one media player solution for ubuntu and the whole linux. It will play most of the media without any other codec requirements. 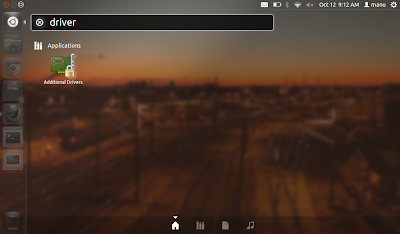 Audacious is an audio player for gnome. It look and feels like winamp. It has a native GTK UI in the last release. Lot of plug-ins and skins are available for audacious. Kodi is a software to play media files on your local storage, but that’s no more the primary use. Kodi became popular with its version 16 (Jarvis) and with Kodi 17 you get a more streamlined experience. Kodi is free to download on a range of platform like PC, Mac, Android, iOS or gaming consoles. A great Photo Editing and retouching software that can do gif animations . Will replace your Photoshop. A lot of plugins, brushes, gradients are avilable for gimp. A newer version gimp 2.8 is on its way with more revolutionary changes. Blender is the award winning 3D modeling and Non Linear Editing Programme in Linux. Blender supports from character drawing to timeline editing . The Latest version 2.57 is the most powerfull solution for all designing and 3D needs. Firefox 7 is included in ubuntu 11.10 by default. But you can try other browsers like google chrome, opera. Google Chrome will be downloaded from Google Website. Thunderbird is the default email client for Ubuntu 11.10 But you can try postler, which is a good email client from elementary os team. filezilla and gftp are the popular ftp clients in ubuntu 11.10. Nautilus is also support ftp,sftp connections. 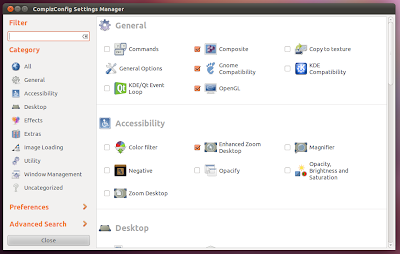 Ubuntu 11.10 uses Unity as the default desktop manager. But ubuntu 11.10 comes with Gnome 3 so you can install Gnome shell simultaneously without breaking the Unity desktop. 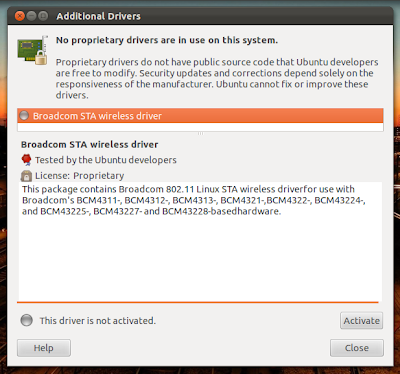 This is a majour problem with ubuntu 11.10. 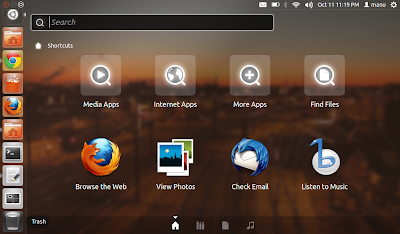 Gnome shell has been developed for modern desktop systems. The interaction and navigation has been evolved in Gnome shell. The Gnome shell is there in the official repository of Ubuntu 11.10 you can install Gnome 3 in one simple command. If you want to install and run windows programmes under ubuntu 11.10 you need a windows environment emulator programme called wine. 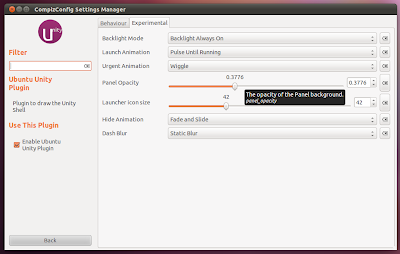 App Indicators are an excellent way to extend the functionality of Unity top panel in Ubuntu 11.10. And Sysmonitor application indicator will display the system status. To install Sysmonitor Indicator in Ubuntu 11.10 just copy and pate the commands in the terminal [Ctrl+Alt+T]. A best theme combination is Equinox Evolution themes + Faenza icon theme combination. As an added advantage, both are available from the same PPA as well. Latest Equinox Evolution themes update brings with 3 new themes taking the total count to 5. 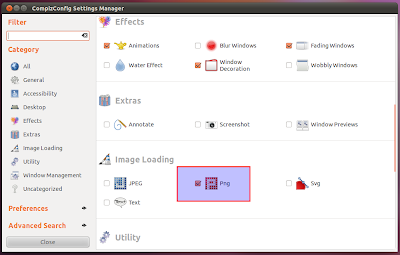 To install Equinox GTK theme collection and Faenza icon theme in Ubuntu 11.10 type in terminal.